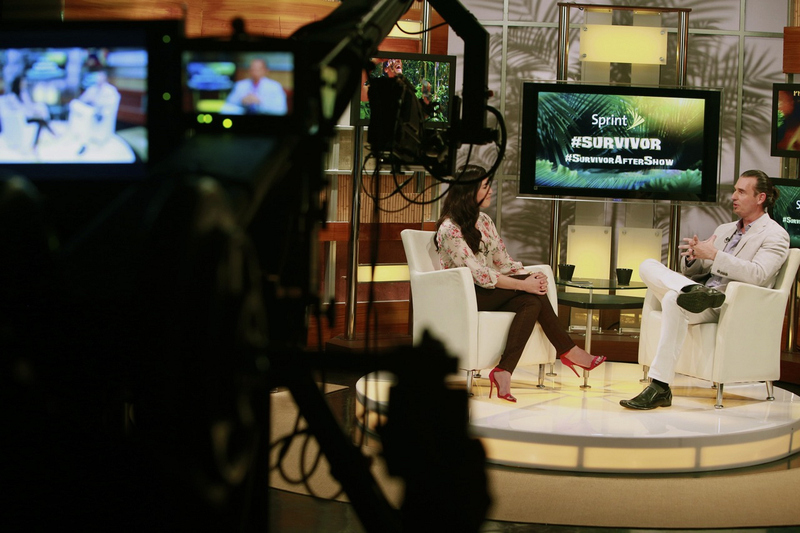 On the set with Survivor: Micronesia winner and host of the Survivor After Show, Parvati Shallow and in-studio guest, Survivor: South Pacific Runner-Up, Benjamin "Coach" Wade. Special guest and recent castaway, Brandon Hantz from Survivor: Caramoan - Fans vs. Favorites also joined in.